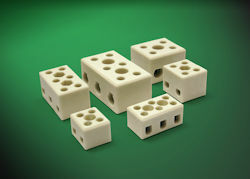 Terminal Blocks | UK Electrical Distributors – E. Preston (Electrical) Ltd.
Entrelec distribution blocks are an economical and convenient way of distributing an electrical circuit from a single input source, to several devices in the branch circuit. 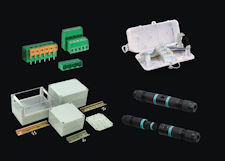 Wieland Electric Inc., a leading global manufacturer of innovative electrical interconnect technology, has developed a series of cable shield terminals designed to provide simple, reliable, cable grounding connections. Designed to accommodate cable diameters from 8mm to 32mm, the fasis WST terminals provide vibration-proof grounding of shielded cables. Constructed from hardened steel with high corrosion resistance, these durable terminals are available in configurations for mounting on busbars, TS35 DIN rail, C-profile rails, or direct screw-mounting on flat surfaces. The fasis WST Series shielding terminals are ideal for industrial machinery and power equipment that requires grounded cable shields. 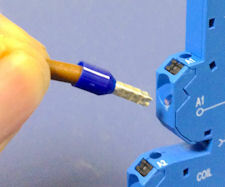 Hylec offers the UK’s first 100% tool-less in-line junction box, Debox SL. 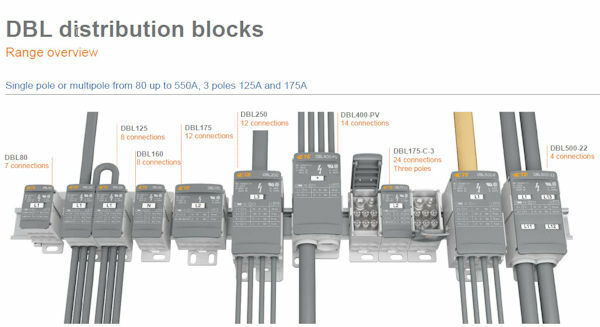 Debox SL can be assembled in a few seconds and is supplied complete with a 16A, UL and VDE-approved, 4-pole screw-less push wire terminal block, Debox 2 SL joins flat or round profile cable and includes everything to save electricians on-site installation time and reduce costs. 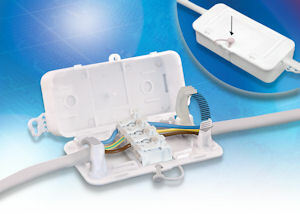 No tools are required: after inserting the cables and closing the included cable clamps, the lid is simply snapped shut and held with the supplied locking clip. 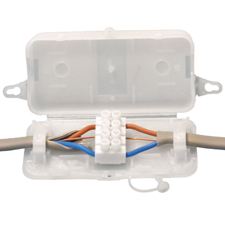 This innovative cable junction box from Hylec-APL is IP20 protected, flame retardant to UL94V-0, and suits internal applications, including ring main lighting, LED lighting and power. Get a grip on panel installations with Finder’s new MasterIn system of push-in relay interface modules. Finder’s latest advancement provides a high performance, screwless system that allows panel designers and installers to save precious time and money. When challenged head-to-head, the push-in terminal technology outperformed the conventional installation method— a whopping 80 per cent faster than manual screw drivers, and 25 per cent faster than electric screw drivers. The MasterIn System also demonstrates better clamping performance under vibration and movement than its screw-in rivals. 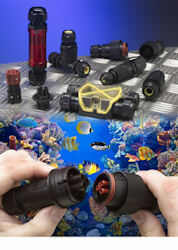 Jumper links allow quick connections and separate test points add to the flexibility of the system and are further reasons to choose the new Finder interface range. The MasterIN System incorporates the existing 39, 48, 4C and 58 Series Finder Relay Interface Modules, and caters for a wide range of applications including industrial automation, building management systems and electrical control panels. Hylec-APL launches its new DEBOX junction box. The virtually tool-less design facilitates installation faster than the leading competitor and offers greater flexibility. For use in internal applications in a variety of different industries, but especially in the lighting sector, it will reduce time on-site and in turn reduce the overall costs of installation. 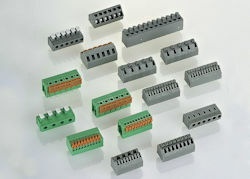 • 4 Pole, 24 amp, 4mm terminal block supplied as standard. 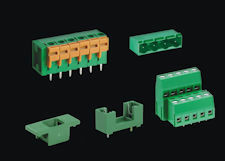 The 39 Series MasterINTERFACE, next-generation interface has extended its range with the addition of models featuring “push-in” terminals – the innovative connector system which allows the direct entry of solid wires without the need to open the clamp. MasterINPUT – compatible with the sensors with current less than 100 mA (using new sockets 93.64.7.024 and 93.67.7.024). All 39 Series accessories (ie. 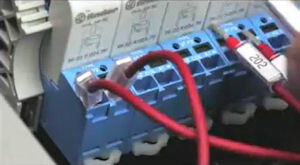 the output fuse module 093.63, the 093.16 jumper links in Blue, Red and Black, the 093.60 separator and the 093.68.14.1 “MasterADAPTER”) can be used with the new sockets.